Is Stevia A Healthy Sugar Substitute? Stevia has become a popular substitute for sugar. It is much sweeter and is a good substitute for sugar. However, Stevia can be highly processed. 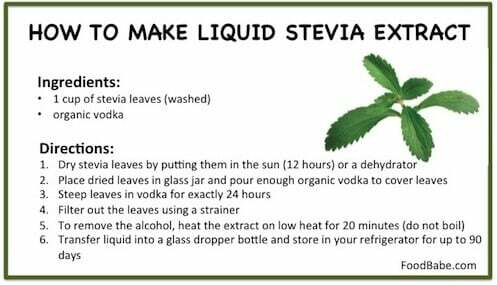 If you want to make stevia at home naturally, buy a stevia plant or purchase the pure dried leaves. You can get this easily online. Grind them up using a spice grinder, mortar and pestle to make your own powdered version. Previous PostPrevious Sugar Cravings? What can keep the cravings down? Next PostNext How Can You Prepare for Earthquakes?